Niagara-on-the-Lake, ON (December 6, 2018) – Walk the aisles of any fishing store and it can be difficult to choose a winning bait from the ocean of swimbaits and soft plastic minnows hanging from the pegs. Of course, savvy anglers begin their bait selection by considering the forage base found wherever they’ll be fishing, then grab whatever best matches the hatch. Might be gizzard shad, threadfin shad, alewives, shiners—or in the salt, threadfin herring, pinfish, sardines, etc. 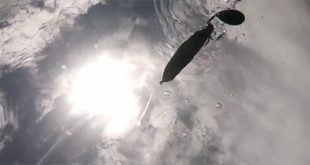 Along those lines, the master lurecrafters at LIVETARGET have engineered a truly unique soft plastic, the Twitch Minnow – part of the new Injection Core Technology (ICT) family – with a profile that mimics a myriad of minnows, giving anglers a truly versatile bait with universal appeal for countless gamefish species. The innovative Twitch Minnow is poised to offer anglers a new alternative to countless me-too soft plastic minnow options. First off, the Twitch Minnow design is unconventional in that it was designed to be fished with the flat side up—essentially a laydown series—which replicates an injured baitfish, unlike most soft plastics that rely on action only to convey a struggling baitfish. Manufactured using LIVETARGET’s exclusive, patent-pending Injected Core Technology (ICT), the Twitch Minnow features bio-realistic color patterns within the interior core, which is fully encapsulated and protected by a clear, soft polymer shell. ICT also allows perfectly-balanced fishability when fished flat side up. The manufacturing process has also created a robust, durable and ultra-realistic bait with a vibrant metallic flash. By carefully controlling the density of both the interior core and the outer shell during the molding process, the Twitch Minnow achieves a perfectly-balanced, strike triggering action…right out of the package. 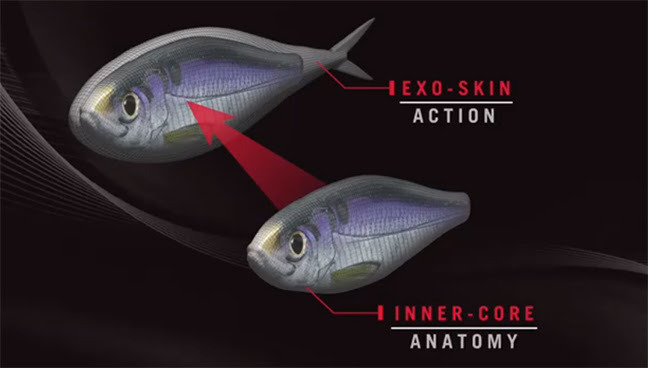 Injected Core Technology not only gives the Twitch Minnow a unique appearance, but it also makes this soft plastic minnow extremely versatile to rig and present in both freshwater and saltwater environments. 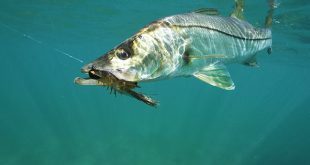 It’s ideal in freshwater for largemouth and smallmouth bass, walleyes, pike and more; in saltwater, for starters, it’s a top performer for snook, redfish and sea trout. Its slow-sinking properties allow fishability at various depths and versatile rigging from the top to the bottom of the water column. It can also be fished on a weighted or un-weighted weedless Texas Rig, or along the bottom on a Carolina Rig. The smallest size Twitch Minnow is also an incredibly tantalizing dropshot bait. 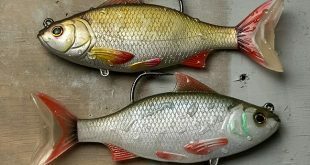 It can be rigged to crawl nose-down along the bottom on a stand-up jig, or even used as a trailer to elevate a conventional jig-and-plastic presentation to the next plateau of realism and efficacy. 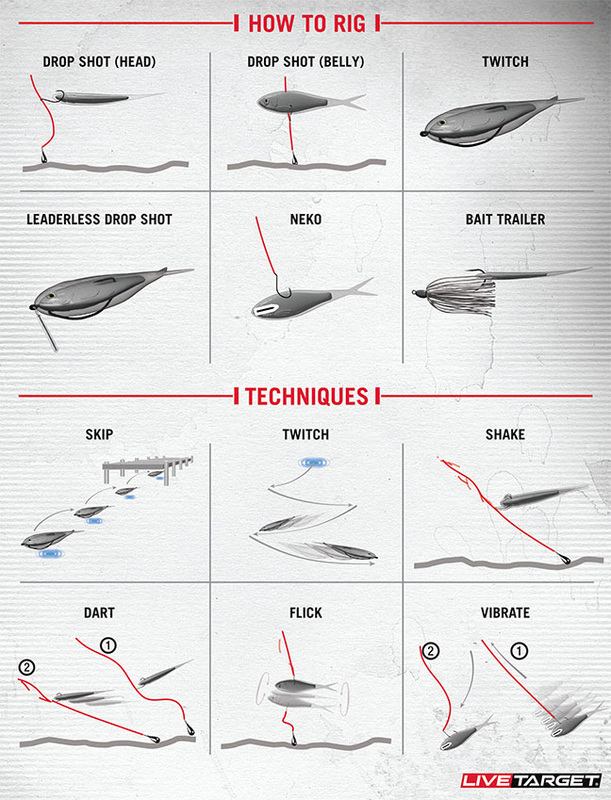 It also makes a great Neko Rig bait and can be used in multiples on umbrella/Alabama rigs. The LIVETARGET Twitch Minnow will be available in three lengths: 3 3/4”; 4 1/2”; and 5 ¼”. Six color patterns (134 Silver/Pearl, 951 Silver/Smoke, 934 Silver/Brown, 952 Silver/Green, 201 Silver/Blue and 207 Silver/Purple) make it easy to select the perfect Twitch Minnow to match your regional forage base and target species. The Twitch Minnow has an MSRP of $9.99 USD.